An Afghanistan-born American sought in connection with a bombing that wounded more than two dozen people in New York City and who could be linked to other bombs found in New York and New Jersey was taken into custody on Monday after a shootout, a New Jersey mayor said. Ahmad Khan Rahami of Elizabeth, New Jersey, was taken into custody after firing at police officer sin Linden, New Jersey, about 20 miles outside New York, Elizabeth Mayor Chris Bollwage said. Bollwage said the suspect that opened fire on officers when they approached his vehicle and two officers were shot, one in the hand and the other was hit on a bullet-proof vest. Rahami had travelled to Afghanistan from the US several years ago, a family acquaintance has told the Reuters news agency. Investigators believe more people were involved in the New York and New Jersey bombing plots, two US officials have told news agencies. 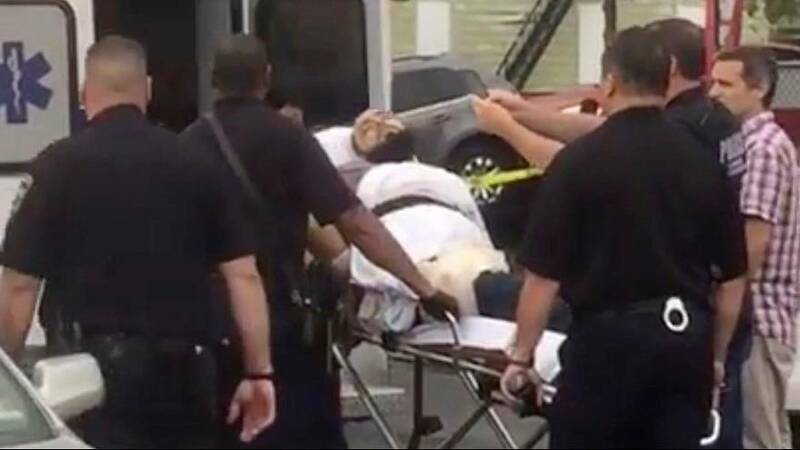 The New York Police Department had released a photo of Rahami, 28, and said they wanted to question him about a Saturday night explosion that wounded 29 people in Manhattan’s Chelsea neighborhood and for a blast earlier that day in Seaside Park, New Jersey, authorities said. President Barack Obama spoke about the bombings on Monday. He said extremists, including the group that calls itself Islamic State, cannot undermine the United States’ way of life. Obama, who is in New York City for the United Nations General Assembly, said he saw no connection between the explosions and a separate weekend incident where a man stabbed nine people at a shopping centre in central Minnesota before being shot dead. He said authorities are investigating the stabbing as a potential act of terrorism. The man in the Minnesota incident was described a “soldier of the Islamic State,” the militant group’s news agency said on Sunday.